Product prices and availability are accurate as of 2019-04-14 01:05:58 BST and are subject to change. Any price and availability information displayed on http://www.amazon.co.uk/ at the time of purchase will apply to the purchase of this product. 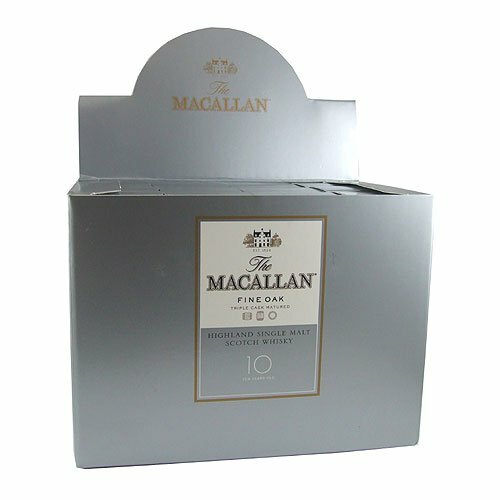 Triple matured over 10 years, the Macallan Fine Oak is distilled initially in European second fill sherry oak barrels. It is then transferred to second fill sherry oak barrels from the USA. The final maturation is carried out in ex-bourbon American oak casks. The result is an incredibly smooth but delicate Single Malt Speyside whisky.